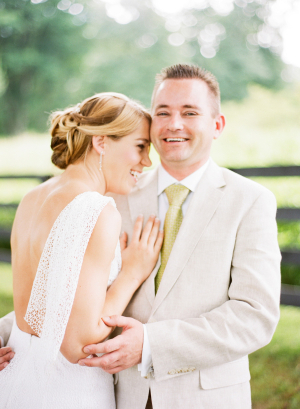 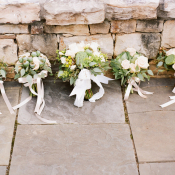 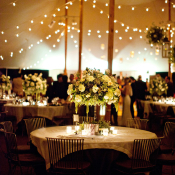 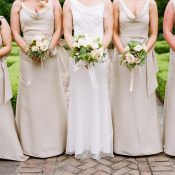 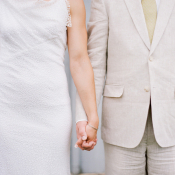 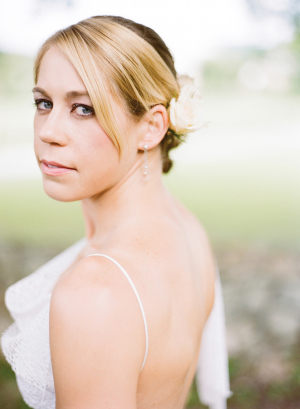 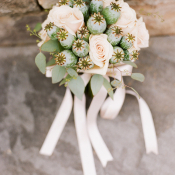 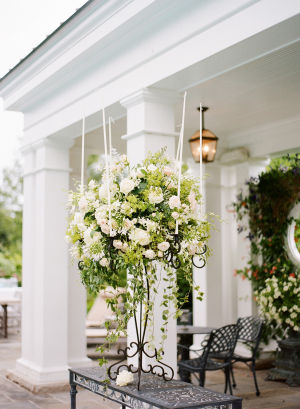 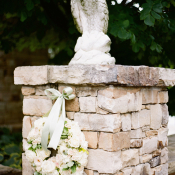 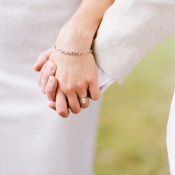 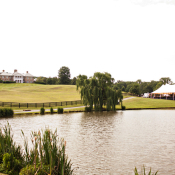 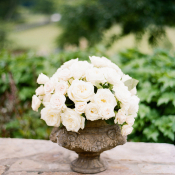 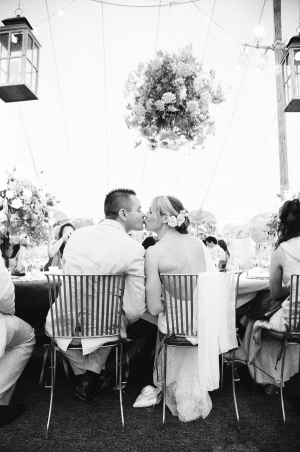 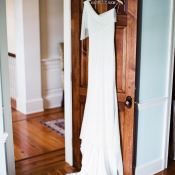 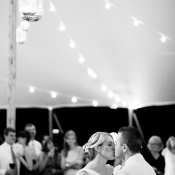 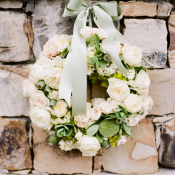 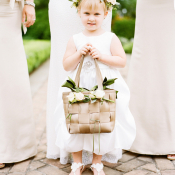 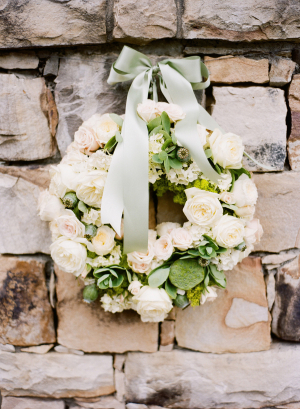 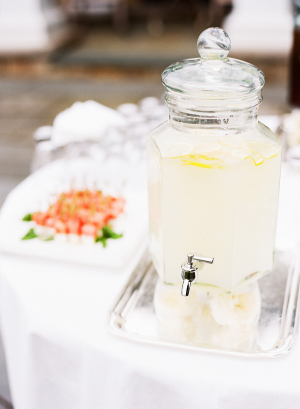 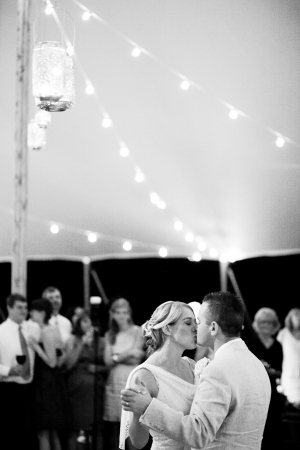 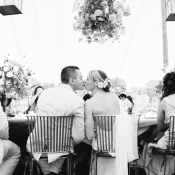 Merritt and Sean’s elegant Virginia wedding is absolute perfection. 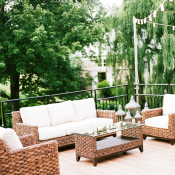 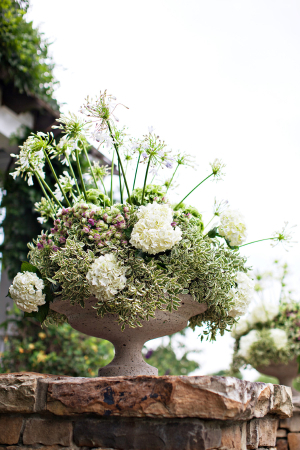 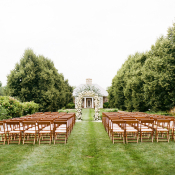 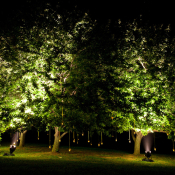 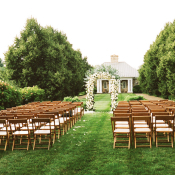 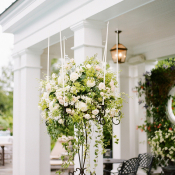 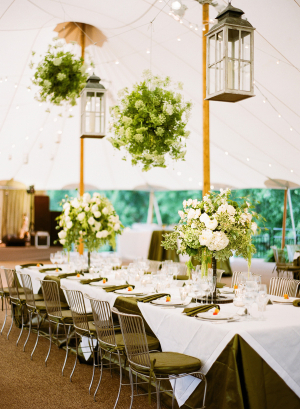 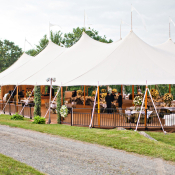 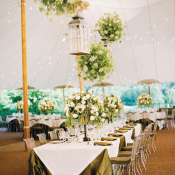 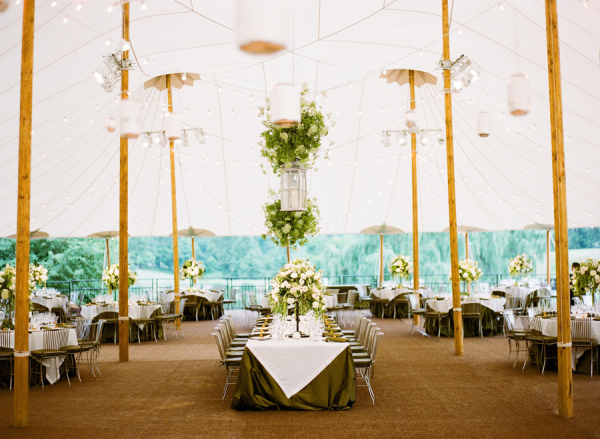 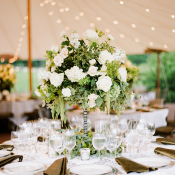 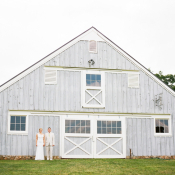 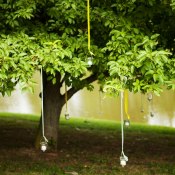 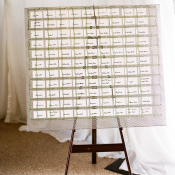 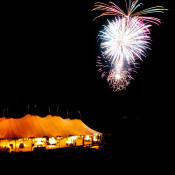 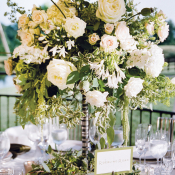 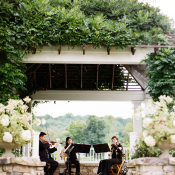 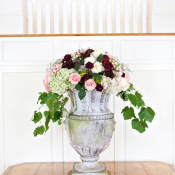 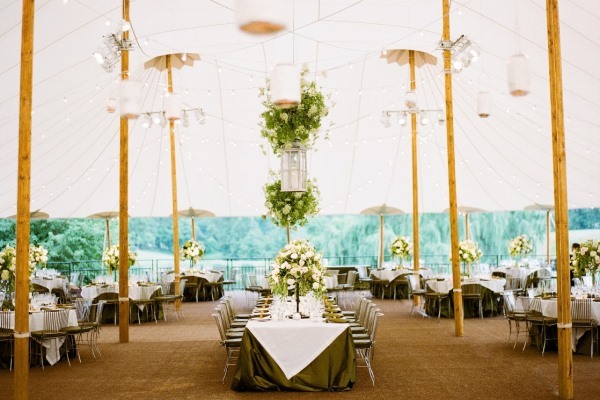 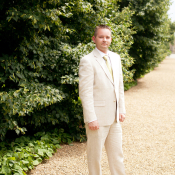 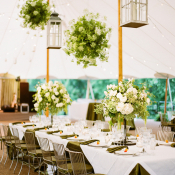 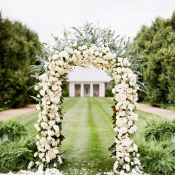 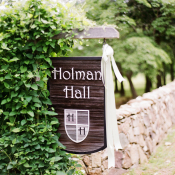 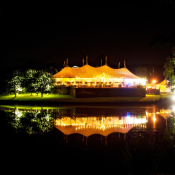 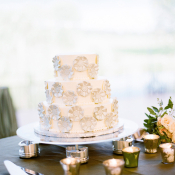 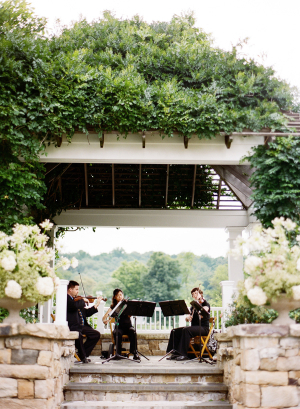 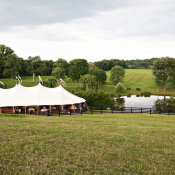 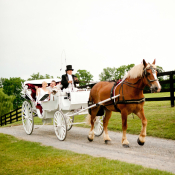 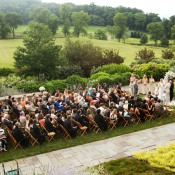 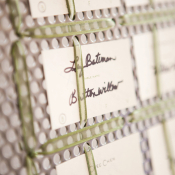 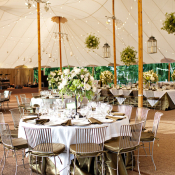 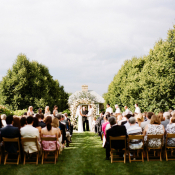 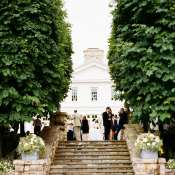 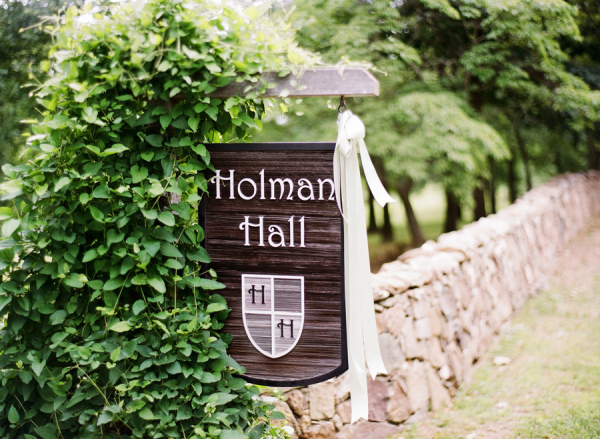 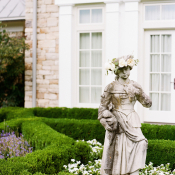 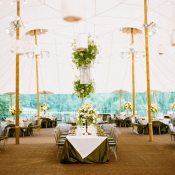 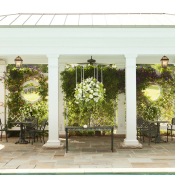 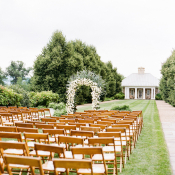 The couple were married on the beautiful lawn of Merritt’s family home in Upperville, and the gorgeous property inspired their classic color scheme of steel gray, green, ivory, and stone. 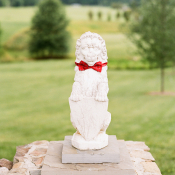 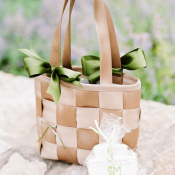 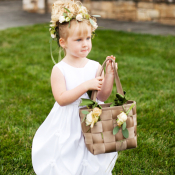 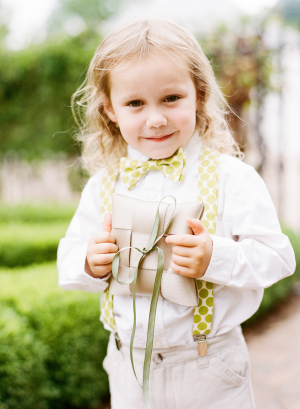 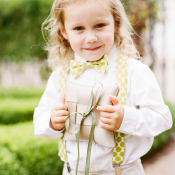 Both Merritt and Sean work in the automotive industry and incorporated several car-related elements—such as a ring bearer pillow made of seatbelts and centerpiece containers made from car parts—as a nod to their shared passion for racing. 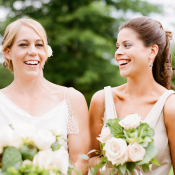 They met while members of the same race team! 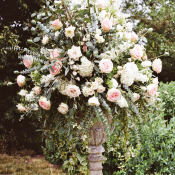 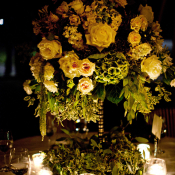 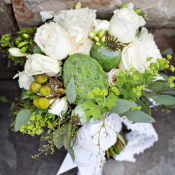 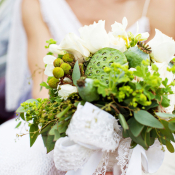 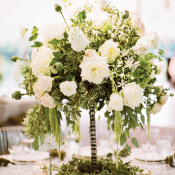 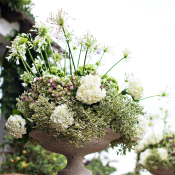 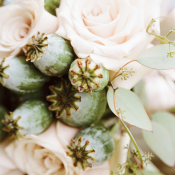 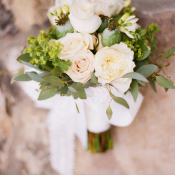 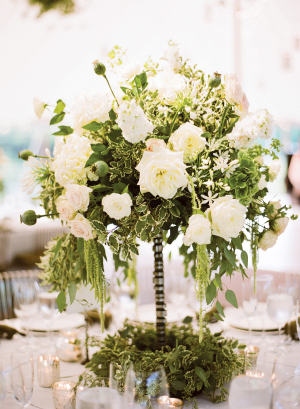 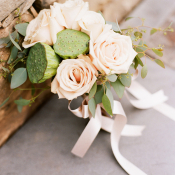 Stunning florals from Lavender Green featured roses, poppy pods, and seeded eucalyptus, and were sourced with blooms native to New Zealand (Sean’s home country) and California (the couple’s current home). 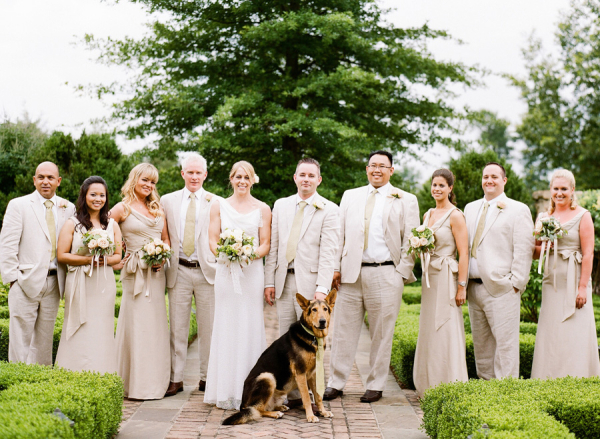 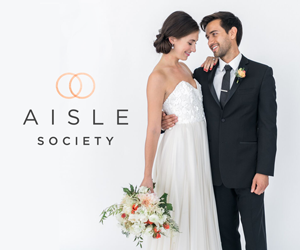 We adore Merritt’s chic and stylish Anne Bowen gown, a perfect pairing with both her maids’ Jenny Yoo dresses and Sean’s Haspel suit. 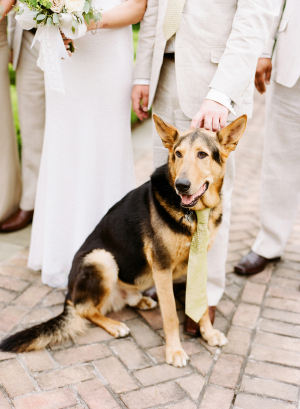 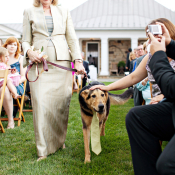 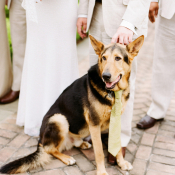 And let’s not forget their adorable Shepherd mix Rusty, an honorary groomsmen in his adorable green tie! 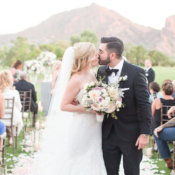 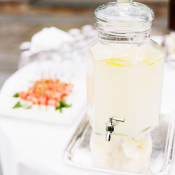 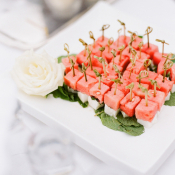 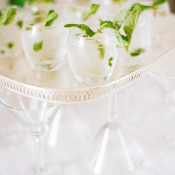 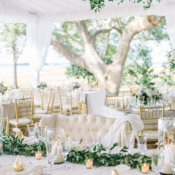 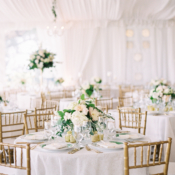 Janice of Bellwether Events brought the couple’s vision to life, and Katie Stoops Photography captured all of the gorgeous images. 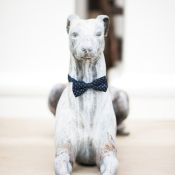 Run over to the gallery to swoon over every detail!